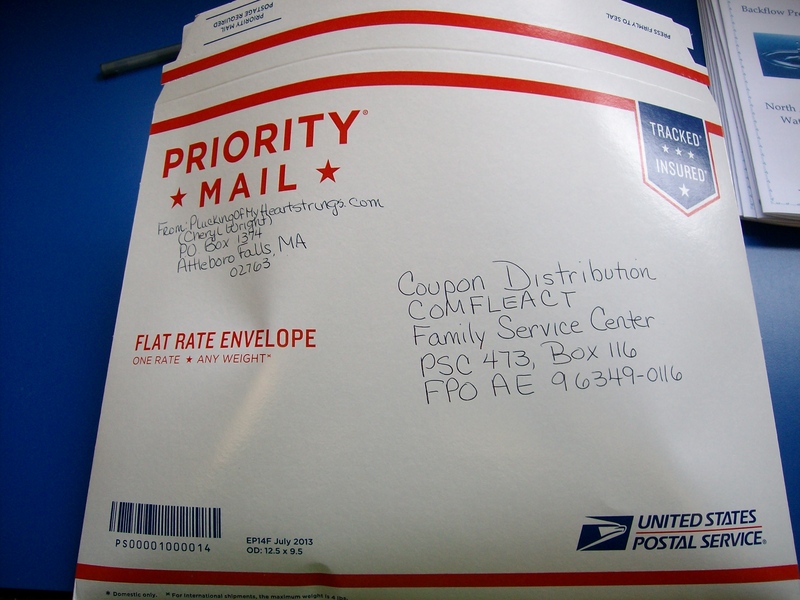 Plucking Of My Heartstrings sent out its first package of expired coupons on July 1, 2015 to our adopted military base in Yokosuka, Japan. The total amount of coupons donated for this shipment was $1,107.35. THANK YOU to those who sent coupons. What a great first donation!! Don’t have any coupons to send but would like to help? Please consider making a donation to help our adopted overseas military base. Donations will be used in ways that pertain to the overseas coupon program, such as helping with the cost of mailing packages overseas. Thank you. This entry was posted in All, Military, Overseas Military Coupon Program and tagged adopted military base, coupons, coupons for the military, don't throw away expired coupons, donate expired coupons, expired coupons, help military families, help the military, Japan, manufacturers coupons, military, navy base, overseas coupon program, what to do with expired coupons, Yokosuka. Bookmark the permalink.